あけおめ、ことよろ！(akeome, kotoyoro) is something that you might receive as a text message from your Japanese friend at the start of the year. It is common to 略す(ryakusu; abbreviate) phrases in Japanese by taking a few characters from each word. There are actually two phrases here, the first being あけおめ, or あけましておめでとう (akemashite omedetō; happy New Year’s). This greeting can only be used after New Year’s, to celebrate the beginning of the New Year. The second is ことよろ, or ことしもよろしく (kotoshimo yoroshiku), a phrase which conveys goodwill for your relationship with someone for the year ahead. Use this to let your Japanese friend know that you want to get along well with them for another year. You’ll find a lot of these 略語 (ryakugo; abbreviated words) in Japanese, such as パソコン (pasokon), short for パーソナルコンピュータ(pāsonaru konpyūta; personal computer), or the world famous franchise ポケモン(pokemon), short for ポケットモンスター(poketto monsutā; pocket monster). Did you know that 教科書 (kyōkasho; textbook) is actually short for 教科用図書 (kyōka yō tosho)? The more Japanese words you learn, the more abbreviations you’ll discover, so keep an eye out! 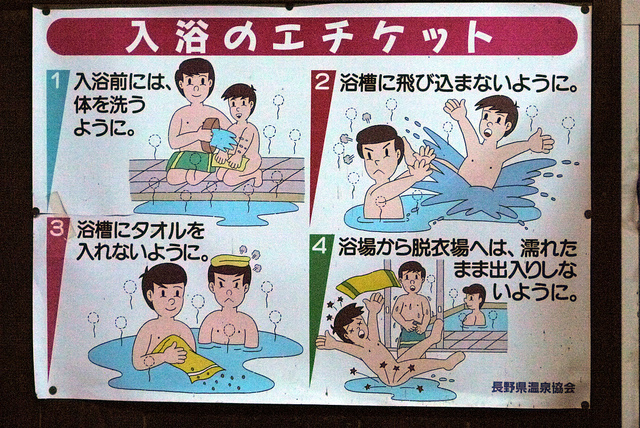 The 温泉 (onsen) is a shared public space, so it is important to be respectful of others. Be sure to greet other patrons and wash your body at the 洗い場 (araiba; washing space) before approaching the 浴槽 (yokusō or 湯船 (yubune); bath), to ensure that the water stays clean. Before 入浴(nyūyoku; entering the water), you should perform 掛け湯 (kakeyu) by using a bucket to rinse your body with hot water. Be sure to get rid of all traces of soap on your body, and use this chance to adjust to the water temperature. 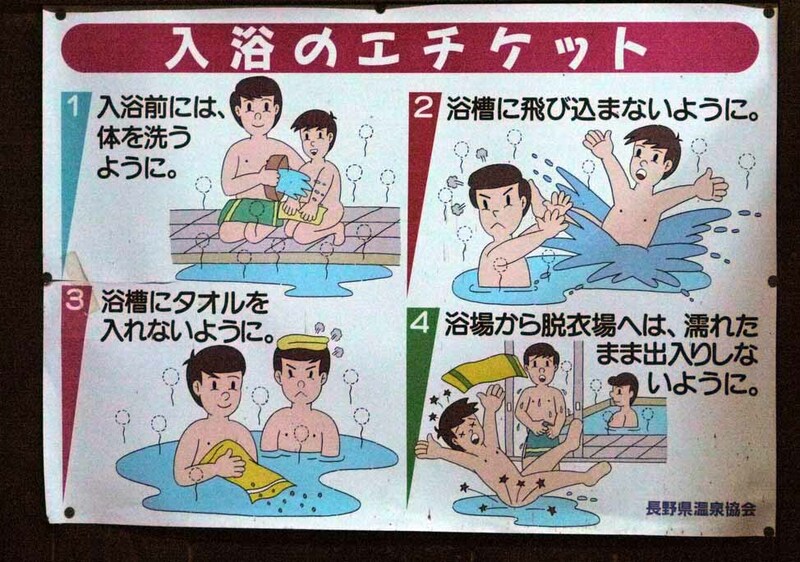 In Japan it is not considered 恥ずかしい (hazukashī; embarrassing) to enter the 温泉(onsen) naked. However, you often see people wearing a タオル (taoru; towel) in Japanese TV shows, even 入浴中 (nyūyokuchū; while in the bath). This is only for entertainment purposes, so please leave your towel outside of the bath, to keep lint from entering the water. Visiting an 温泉 (onsen) is very relaxing and you should enjoy it, but please be careful of 湯あたり (yuatari; bath dizziness) and don’t stay in too long. We hope that you’ll enjoy visiting 温泉! You may have already heard of the word おもてなし (omotenashi; hospitality), as its popularity has increased since becoming a keyword in the bid for the 2020 東京オリンピック (tōkyō orinpikku; Tokyo Olympics). The true meaning of おもてなし stretches beyond the simple meaning of its English translation. 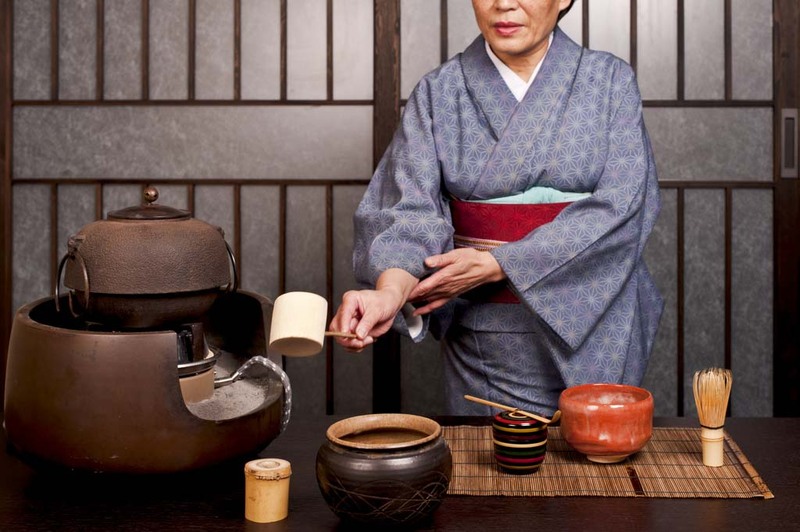 It is an underlying part of Japanese culture, said to originate from 茶道 (sadō; tea ceremony). During tea ceremony, the host aims to もてなす (motenasu; entertain) their guests. 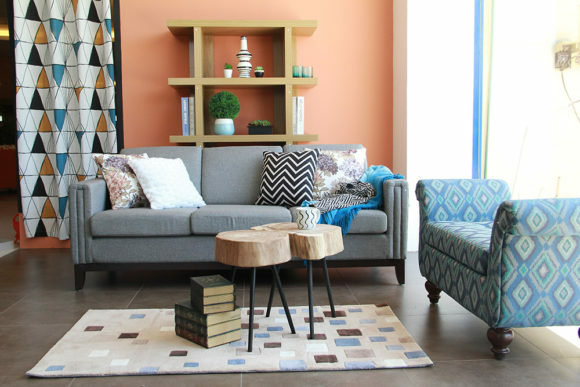 The host will try to anticipate and meet their guests’ every need, without expecting anything in return. You may have experienced this hospitality already when walking into a Japanese store and hearing a chorus of いらっしゃいませ (irasshaimase; welcome), or when the cashier carefully gives your card back with both hands. In Japanese, customers and guests are both referred to as お客さん (okyaku-san), which is a sign of how well customers are treated. Of course, you don’t need to work in a Japaneseコンビニ (konbini; convenience store) to practice おもてなし, you can do it anytime to make someone feel welcome. 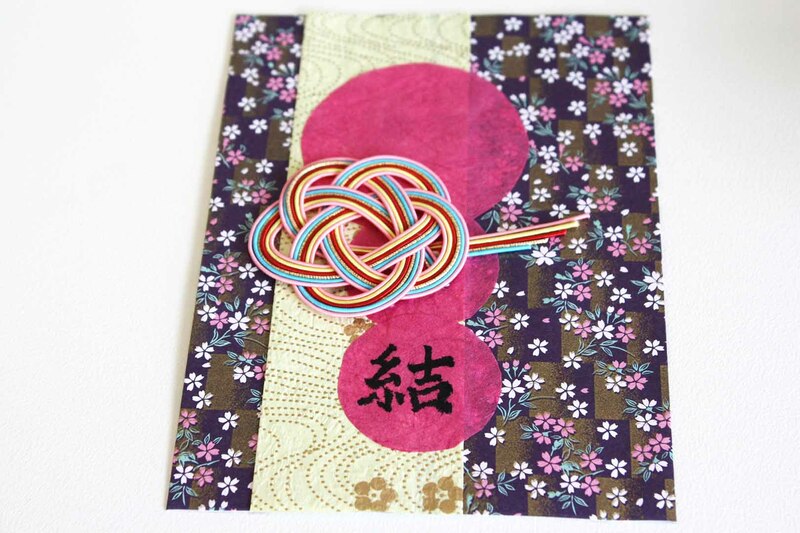 If you’d like to know more about おもてなし, you can come along to our upcoming 水引 (mizuhiki; decorative paper cord) workshop in November, where you can explore the spirit of おもてなし together with the Japanese customs of gift-giving. Is anison a new Japanese word? As you may have guessed, anison is a compound word derived from アニメ (anime) and ソング (songu; song), and has been a growing trend in the J-Pop music scene for two decades. A large number of アニソン (anison) titles either originated from or are featured in Japanese anime. Perhaps the 21st century will soon be defined as the height of アニソン in J-Pop history. キャラソン (kyara-son; character song) song by 劇中アイドル (gekichuu aidoru; anime idols) in アイドルアニメ (aidoru anime; idols anime) are frequently sung during Japanese pop song TV shows, and anison are often listed on Japan’s mainstream music ヒットチャート (hitto chaato; charts). Today, audiences fill up the 日本武道館 (Nippon budookan), a famous Tokyo concert hall, for live performances of anison by 声優 アーティスト(seiyuu aathisuto; voice actor artist). If you’d like to enjoy this Japanese trend, simply round up some friends and head over to your nearest カラオケ (karaoke). During your next visit to Japan, you can also try going to a 夏フェス (natsu fesu; summer festival), where you could meet anison artists. 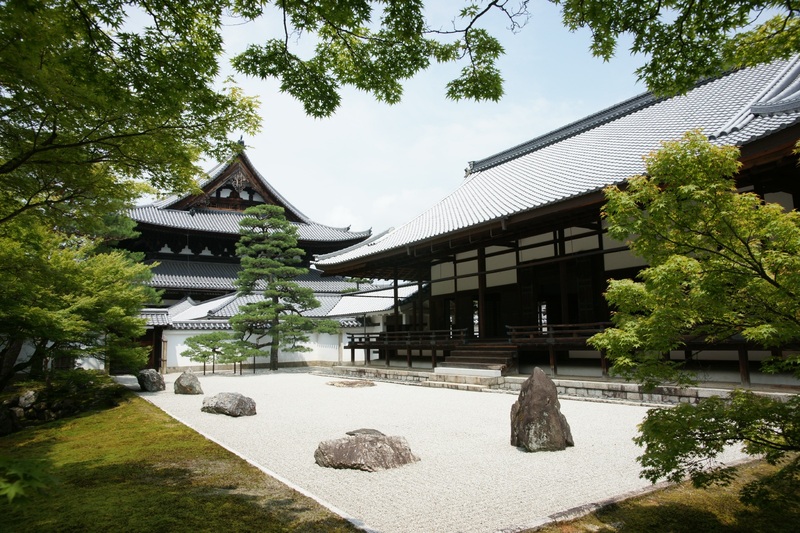 This month, we’re continuing the theme of 仏教 (bukkyō; Buddhism) related articles. Have you ever wondered how a Buddhist might pay their respects to Buddha? One answer is 声明 (shōmyō; chanting). 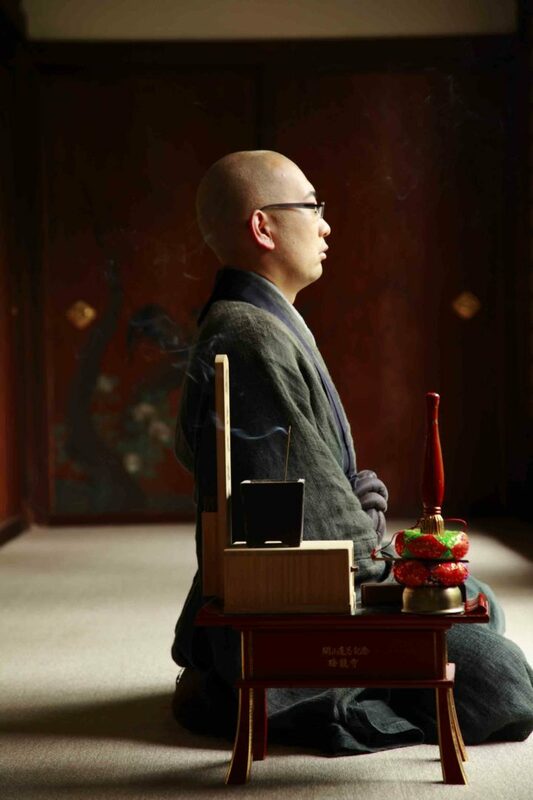 This is just one of many Buddhist practices, and is sometimes performed in front of a 仏壇 (butsudan; Buddhist altar). The practice is just a little bit musical, with the 声明 varying in pitch and rhythm. Usually the chanting is a reading of お経 (okyō; sutras), which are Buddhist scriptures. However, what if your voice was tired, or you wanted to pay your respects quietly? Why, simply try a spot of 写経 (shakyō; hand-copying sutras) instead! 写経 involves carefully copying お経 by hand, paying attention to your 習字(shūji; calligraphy). This calming activity is a form of meditation. Every year in Japan around August 13-16, most people head back to their 実家 (jikka; parents’ home) and gather with their families to honour the spirits of their ancestors. This is a custom from 仏教 (bukkyou; Buddhism) called お盆 (obon). 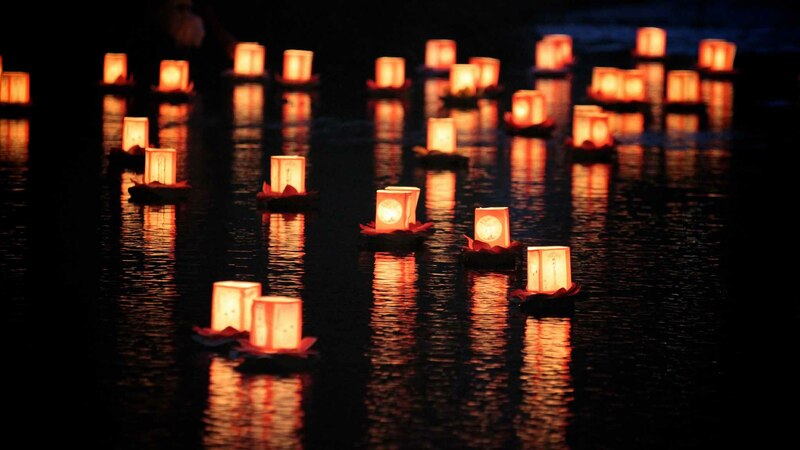 お盆 begins with a 迎え火 (mukaebi; welcome fire) and 提灯 (chouchin; lanterns) being lit to guide spirits back to their homes. 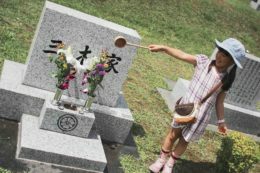 お墓参り(ohaka mairi; visiting and cleaning your ancestors’ graves) takes place, 盆踊り (bon odori; a dance to welcome and honour the spirits) is performed, and offerings of food and drinks are laid at the 仏壇 (butsudan; Buddhist altars). The word お盆 can also refer to the food trays on which such offerings or dishes are placed. Finally, お盆 comes to an end with an 送り火 (okuribi; fire to see off the spirits) and lanterns being lit once again, this time to send the spirits back to the world of the dead. お盆 is one of the most important events during the year in Japan. With many people travelling home, the roads and public transport get incredibly packed, and often smaller shops close during this お盆休み (obon yasumi; obon holiday) period – something to keep in mind if you’re about to head over for a holiday. Do you enjoy making terrible ダジャレ (dajare; puns) that cause people to groan and roll their eyes? Soon you’ll be able to do that in Japanese too! Here are some of the best (and worst) Japanese puns. First, there’s 「アルミ缶の上にあるみかん」 or “arumi kan no ue ni aru mikan”, which translates to “the mandarin that is sitting on top of the aluminium can”. It’s a play on the similar sounding words アルミ缶 (arumi kan; aluminium can) and (上に) あるみかん ([ueni] aru mikan; the mandarin sitting on top), and is a well-loved classic ダジャレ which can be slipped into the conversation whenever you have a mandarin and a can of soft drink handy. Another classic is 「布団が吹っ飛んだ」 or “futon ga futtonda”, which means “the futon was blown away”. Again, this is a play on the similarity between 布団 が (futon ga; the futon was) and 吹っ飛んだ (futtonda; to be blown away). The downside is that it might be slightly harder to naturally use this ダジャレ in your everyday life. Finally, there’s 「トイレに行っといれ」or “toire ni ittoire”, which means “off you go to the toilet!” The phrase 行っておいで (itteoide; off you go) has been modified to become 行っといれ (ittoire) so that it sounds more similar to the word トイレ (toire; toilet), thus creating the pun. 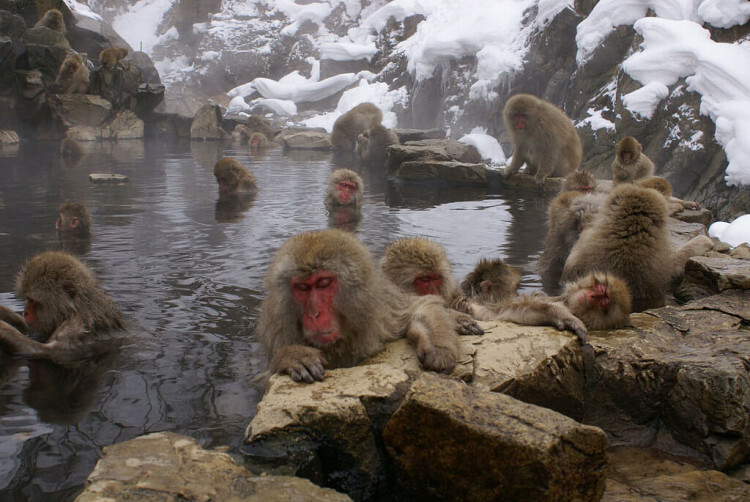 While Japan’s seismic nature gives rise to her beautiful mountains and hot springs, natural disasters are a reality. And since there’s no way of knowing when the next 地震 (jishin; earthquake) or other natural 災害 (saigai; disaster) may occur, it doesn’t hurt to be familiar with a few words and phrases relevant to 防災 (bousai; disaster prevention). For example, if you happen to be in Japan under these circumstances, you may hear an announcement such as 「緊急地震速報です」(kinkyuu jishin sokuhou desu), meaning, “This is an emergency earthquake warning.” You may have to take part in a 避難 (hinan; evacuation), and be wary of 余震 (yoshin; aftershocks) or 津波 (tsunami) warnings as well. It’s also important to have a 非常袋 (hijou bukuro; emergency bag) packed and ready just in case disaster strikes and be aware of nearby 非常口 (hijou guchi; emergency exits). Stay safe, and our hearts go out to those affected by the Kumamoto earthquakes. The word 珍道具 (chindogu) comes from combining the words　珍 (chin; rare or strange) and 道具 (dougu; implement or device), and refers to inventions that are useful but almost useless. These “unuseless inventions” are the brainchild of　川上賢司 (Kenji Kawakami), a Japanese 発明者 (hatsumeisha; inventor). An example of a particularly unuseless 珍道具 is the 「つま先傘」 (tsumasaki gasa; literally toe umbrella) which are shoes with tiny umbrellas sprouting from the toes for protection against the rain. Another is the「頭上トイレットペーパー」 (zujou toiretto peh-pah; literally overhead toilet paper), otherwise known as the “Hay Fever Headset”, a contraption where you can strap a toilet paper roll to your head to be used when hay fever strikes. 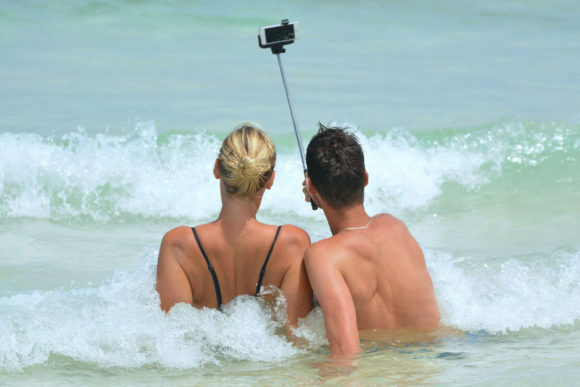 Another surprising example of a 珍道具 actually invented back in 1983 was the “Self Portrait Camera Stick”, or as we now know it, the 自撮り棒 (jidoribou; selfie stick). Not even Kenji Kawakami would have been able to guess that this relatively unknown 珍道具 would eventually become a device used all around the world. カラオケ (karaoke; literally ‘empty orchestra’) as you probably already know, is an extremely popular activity around the world, involving getting together with friends and belting out a few of your favourite tunes to a pre-recorded backing track. In Japan カラオケ is so popular that the average person will have an 十八番 (ohako; a standard song that they’re particularly good at singing and can use to show off their skills) up their sleeve. 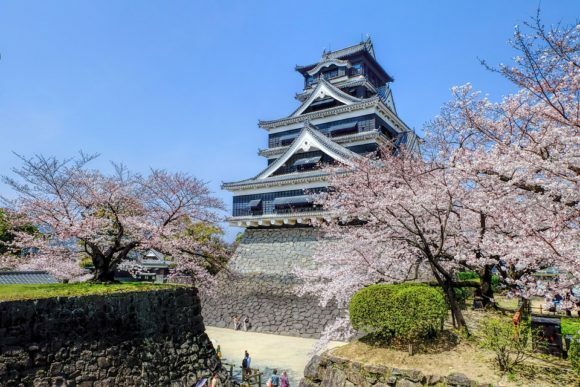 There are even special places in Japan you can go to sing カラオケ to your hearts content by yourself, an activity otherwise known as ヒトカラ (hitokara). This word comes from a combination of the words ひとり (hitori; one person) and カラオケ. However the newest カラオケ related phenomenon to emerge from Japan is ボルカラ (borukara). 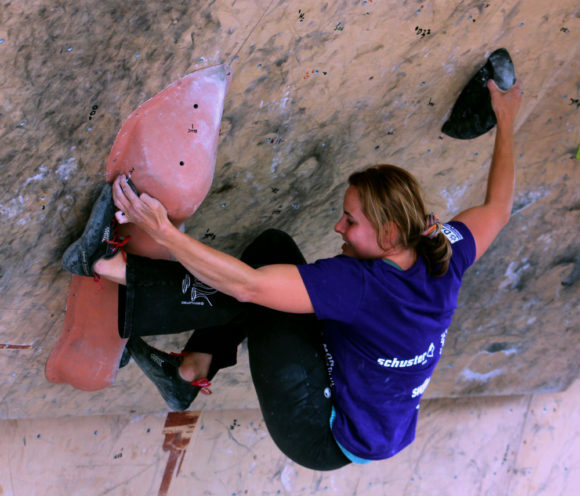 ボルカラ is an amalgamation of two unlikely activities; ボルダリング (borudaringu; bouldering, or rock climbing without a harness) and カラオケ. Recently the world’s first ボルカラ joint opened up in 河原町 (Kawaramachi) in 京都 (Kyoto), so that those who are up for a challenge can go sing songs and climb a wall at the same time. What is a 舞妓 (まいこ; maiko), and how exactly do they differ from 芸子 (げいこ; geiko) or芸者 (げいしゃ; geisha)? Both geisha and geiko are traditional female entertainers, but while geisha is a term used to refer to entertainers in Tokyo, geiko refers to those in Kyoto. Maiko are apprentices in Kyoto who go through years of rigorous training before becoming recognised as a geiko. During their apprenticeship they take classes to master a variety of skills, for example the art of conversation and dance, and how to expertly play traditional instruments like the 三味線 (shamisen; a three-stringed lute with a square body) or 箏 (koto; a thirteen-stringed wooden instrument). Maiko also have elaborate 日本髪 (nihongami; traditional Japanese hairstyles) which vary depending on their rank and occasion. 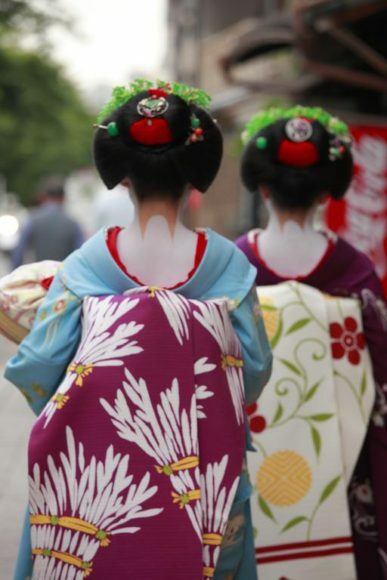 While geiko use wigs, maiko grow their own hair and go to a special 日本髪 hairdresser once a week to get their hair done. As a result, maiko have to sleep on a 高枕 (takamakura; literally a high pillow) at night to maintain their elaborate do all week and keep it from unravelling. Experience a rare 舞妓 and 芸子performance at our “Jewels of Kyoto” event held in Sydney and Perth. For more details. Decluttering your home or 整理整頓 (seiriseiton) is a great way to begin the new year afresh, and some serious 掃除 (souji; cleaning) and 片付け (katazuke; tidying up) might be in order if you had a bit too much fun over the Christmas holidays. 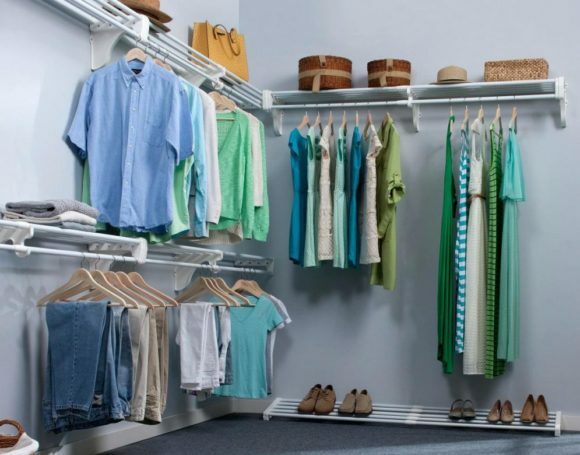 You may even want to go all out with your spring cleaning and 断捨離 (danshari), a popular concept involving radically minimalising the items you own. The phrase stems from three words: 断る (kotowaru; to refuse, as in refusing to keep unnecessary items), 捨てる (suteru; to throw away), and 離れる (hanareru; to separate, in this case from your attachment to items). Better yet, why not enlist the help of a 片付けコンサルタント (katazuke konsarutanto; tidying consultant) and use the methods of internationally acclaimed decluttering guru 近藤麻理恵 (Marie Kondo) to “Kondo” your life. That’s right, this guru is so popular her name has even become a verb. Her book “The Life Changing Magic of Tidying” is all about the art of decluttering and has become a worldwide bestseller, leading her to be named one of TIME Magazine’s 100 most influential people last year. Make a fresh start this year with the magical art of 整理整頓, by checking out こんまり　(konmari; the names Kondo and Marie combined)’s book in our library.